Since the beginning of the rebellion in Syria, the city of Tartus has been frequently in the news. Tartus is the major Syrian port on the Mediterranean sea, and has been frequented by Russian ships, and now appears to be Assad’s last stronghold of loyalty. Sailors from Russia’s nuclear-powered “Pyotr Veliky” missile cruiser line up on parade in Syria’s Mediterranean port of Tartus. How vital is Syria’s Tartus port to Russia? As you may have noticed the above articles relate to Tartus’ importance as a last stand for Assad and the Alawites, or to the Russians, from a strategic perspective. I think God is about to make Tartus the capital of a new state on the shores of the Mediterranean. There is nothing in the bible that says that Syria must remain a united country. 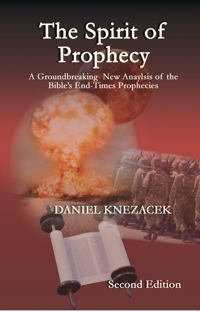 As I stated in The Spirit of Prophecy, I expect Damascus will be destroyed during the Psalm 83 war. This will be fulfilment of Isaiah 17:1. At the time I suggested that Tartus will make an excellent replacement for Damascus, if that city should be the victim of a nuclear attack, after attacking Israel. I still think Damascus will be destroyed during that war, but I now think it is likely that Syria may actually split in two before the war. 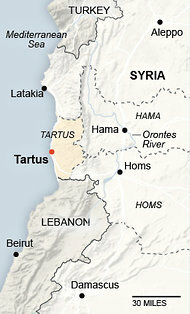 After Damascus is destroyed, Tartus will take on greater significance. It may even take over administration of what is left of Syria. The Assad family’s relationship with Iran may explain why they will not participate in the Psalm 83 war. The hostility between the Shites and the Sunni Muslims goes a long way to explaining why Iran will not be a part of that war, and why a part of Syria may sit it out. The enmity caused by two years of civil war would prevent the Alawite section of Syria, or the new Alawite nation, from joining the Arabs when they attack Israel. No doubt the Hagarenes and the Hagarites are the same people. They were two of the twelve tribes of Ishmael who left the main body of the Ishmaelites, and settled in the land of Gilead, known today as the Golan. This land, which Israel now occupies in part, is the primary reason for the Syrian civil war. Assad has been reluctant to attack Israel to get it back, and the rebels, no doubt influenced by the Hagarites, are agitating to go on the offensive. Why would I think they are still there? Because people always have a connection to the land of their ancestors. Even if they are taken away in slavery, eventually another generation will make its way back. Psalm 83 links these people with a coming war, and I have no reason to believe they are in any place other than where they were during the life of king Saul of Israel. Evidently Assad is not a Hagarite, and doesn’t sympathize with their cause enough to risk his whole presidency over a small section of land his father forfeited to Israel. Notice the word “come” in the passage? This word indicates that these entities are in close proximity to Israel. The invading armies will have to go through the territory of these nations to get to Israel, and they are powerless to stop them. As participants in a peace treaty with Israel it is very likely that their defensive capabilities have been diminished as a result. In fact the protestors are anticipating being plundered themselves. Why? They have prospered as a result of this peace. Furthermore the Alawites of Tartus will not participate in the war because they will be eye-witnesses of the Destruction of Damascus. Sheba and Dedan are historically Arab entities, again, likely areas who will gain prominence after the destruction of their respective capitals. 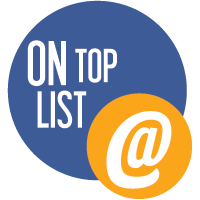 While there are several cities that could be known as Tarshish, such as Tarsus, Turkey, the only one that meets all the criteria is Tartus, Syria. Think about it. Why would Tarsus, Turkey, protest a war in which Turkey was a major player? Now, the pieces of the puzzle are starting to come together. This entry was posted in Prophecy, Uncategorized, World Events and tagged Alawites of tartus, Assad, destruction of damascus, hagarenes hagarites, middle-east, russia and syria, syria assad, tarsus turkey, tartus syria. Bookmark the permalink.